THE STEM CELL CLINIC YOU ARE VISITING IS AUTHENTICATED ONE? Today if we open our internet browser and search for stem cell therapy, we will get hundreds of results in a single click. A large numbers of clinics and hospitals have popped up offering stem cell treatments. In search, we also come across with news of few clinics, which are just selling multivitamin or steroids in name of stem cells and misleading people for financial gain. But one rotten apple does not spoil the barrel. It just makes it harder to see the good hospitals. Stem cell science is really moving forward and is not a fiction anymore. “Regenerative medicine with stem cell therapy has huge potential for treatment of wide range of diseases including neuro disorders, heart diseases, eye diseases, diabetes, skin injuries etc.” In today’s time, medical world is exploring the latest technology through stem cells that can treat various diseases that are non-treatable with traditional therapies. Doctor expertise matters- First, you should definitely inquire about your doctor’s expertise. Doctor, who is treating you; should be expert of that particular field. Surely, you would not like to have a dermatologist, who does injection in skin, is doing treatment of your knees or you do not want a normal physician for treatment of your complex neurological or cardiac problems. 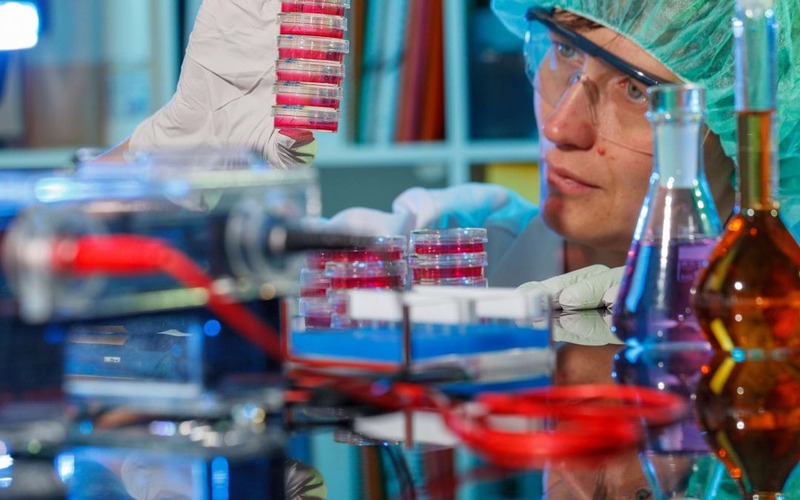 Scientific team is important– Another critical factor with stem cells is stem cell processing lab. You should enquire with stem cell clinic about their processing set up. There are cases where physicians do processing of stem cells in bedside centrifuges, who do not have any knowledge of stem cells. Stem cell processing lab should have sound scientific advisory members and expert technician team. Enquire with them if they possess any independent oversight or accreditation of the facility where the cells are processed? You should also enquire about what all certificate of analysis are provided with stem cell injection. Stem cells should be tested for viability, efficacy, and safety before getting released from lab and you should get all reports with cells from them. Cell Transportation is critical- In most of the cases, hospital where you get treatment and lab where stem cells are processed, are not present in the same premises; therefore you should inquire therapy provider about their cell transportation facility. Ideally, cell should be transported at very low temperature to maintain their viability and count. Unbiased Patient selection– The patient condition should be evaluated intensively for stem cell therapy. It should not be the case because you have a credit card, so you are a good candidate. You should be examined properly to ensure that you are a good or bad candidate for stem cell therapy. You should definitely enquire about your chances of improvements with stem cell treatment. Customized Stem cell therapy protocol– The key to success of stem cell therapy is customized treatment plan for patient. As each patient is different and disease conditions are also different, so a defined stem cell therapy protocol cannot fit for all conditions. The stem cell therapy protocol including dose, route of administration, addition of growth factors etc. must be tailored according to patient’s specific disease. Side effects of therapy– You have full right to know that what are the risk associated with procedure and possible side effects both immediate and long-term? Company background– It is your responsibility also to search for background of company and you should also look for treatment studies all over the world that are done at particular diseases. Stem cells are not magic wand to be used by anyone who has no expertise or knowledge of the disease they’re treating. It is important that specialists of specific areas should be in the fields they know, and stem cells are also no exception to this!